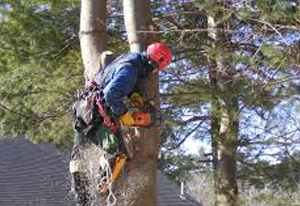 Below you’ll find a few words from some of the many satisfied clients that we have provided professional tree services for throughout Upstate NY. For over 30 years, we have served areas including the greater Capital Region and the Adirondacks from Clifton Park to Glens Falls, and Ballston Spa to Lake George and more. Thank you to the crew that removed the tree from my bathroom…the speed in which you responded and completed the job was amazing. Everyone was pleasant and thoughtful. Thanks for making a bad situation better. …very efficient and courteous…when suffering a loss that is devastating having people like you and your staff makes recovery much easier to deal with…Thank you for your fine service and my best goes to the crew that did an excellent job on my property. …the men hit the ground running from start to finish…it was true what’s been said, they left my property like they were never here. Your company is the best in the business and I recommend you to anyone who needs good quality work. Thank you very much for your prompt assistance at the time of our tree emergency. Great Job! Couldn’t even tell they were here. Will use your services again in the near future. Your company and crew have shown us an exemplary standard of professionalism not often seen…their performance was phenomenal, and should we ever be asked in the future who to call to have trees removed, your name will be on the tip of our tongues. We were very impressed with the quality of your work and the professionalism your staff approached the job with. We will be sure to contact you again if we need more work and will recommend you to others. 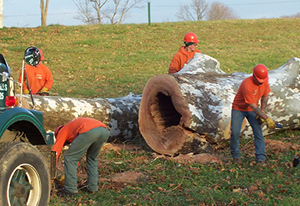 If you are in need of any of our tree services, please complete our short contact form or give us a call today at 518-792-2225 for your FREE estimate.